A British supermodel on the cover of a British fashion magazine should be a no-brainer, right? 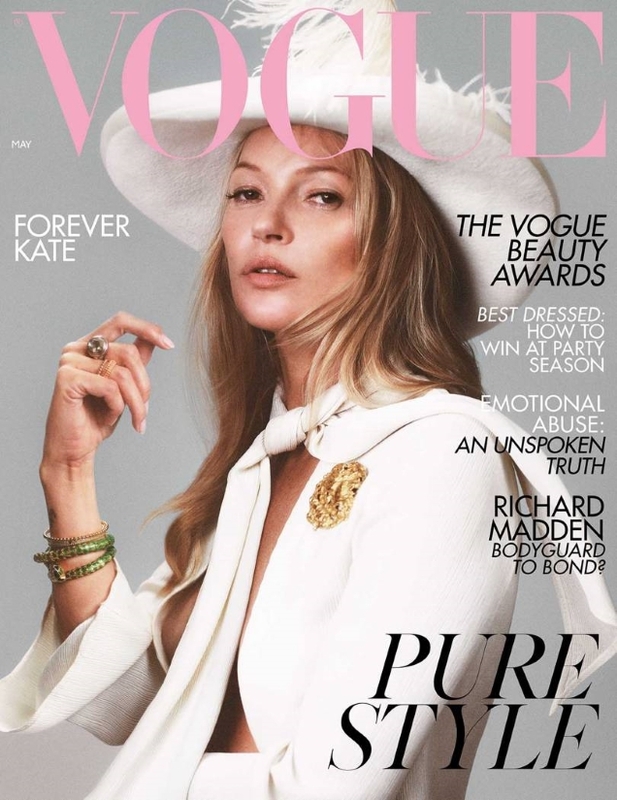 Especially when it’s Kate Moss, who just landed her 40th cover of British Vogue (and the first under Edward Enninful’s tenure). To celebrate, Enninful spared no expense, hiring three different photographers—Jamie Hawkesworth, Mikael Jansson and Inez van Lamsweerde & Vinoodh Matadin—to shoot Moss for three collectible covers. According to some of our forum members, the covers didn’t exactly break ground. “A very hard pass on these Moss covers. Edward, you were doing so well!” sighed Velasco. “These are SO bad. All of them look somewhat unfinished and almost like some provincial edition’s reprints. The typography is so off too. You see far better work in The Cover Challenge Thread! It’s shocking someone gets paid for this art direction,” complained Royal-Galliano. “Kate again? How many times? GROUNDBREAKING!” caioherrero said. “Sometimes I think people keep using Kate because she’s been around forever, not because she’s doing anything worthwhile. These covers aren’t worth it. The first is ‘OK’, the other two are grotesque,” slammed dfl-001. But not everyone was disappointed. “I will be in the minority here, but always count me in for Kate Moss!” cheered dontbeadrag. “Thrilled to see Kate on Vogue again, she’s such a legend and I can’t help but love her,” added LastNight. “I want all three covers! The queen has finally appeared on Edward’s Vogue and I am so so so excited!” KateIsGr8 wrote. Are you a fan? Sound off and share your thoughts here.